Whether you'll admit it or not, eating at In-N-Out Burger usually involves pausing for a moment to snap a photo of your Double-Double and your pile of terrible french fries. But for a couple of adorable grandparents, visiting their local outpost of the cult-favorite chain involves sending a photo from their fast-food date to their granddaughter. 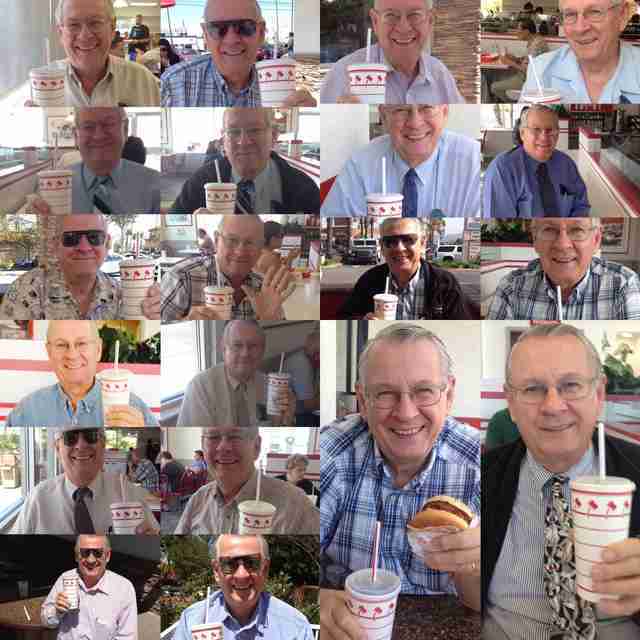 Every time the elderly couple, who have been together for 53 years, eats at In-N-Out together, Heather Daniels receives a new photo from her grandma via text, showing her grandpa enjoying their meal of cheeseburgers and fires. Earlier this week, Daniels posted dozens of the photos on Twitter in honor of their love for the fast food chain and, of course, each other. And if you need a reminder that true love still exists in this world, then look no further than the collection of photos. 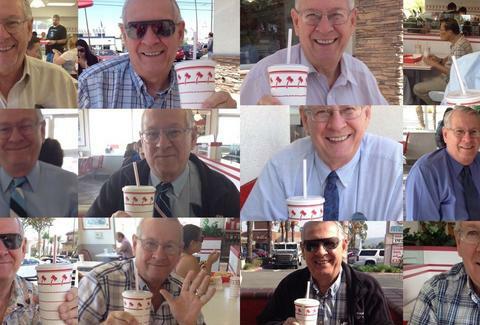 As you can see, Daniels' grandparents eat at In-N-Out a lot. "I have lost count of the number of photos they have sent us," Daniels said when reached via email. "I'm sure I didn't even get all of them posted. I'm not exactly sure how long they have been doing this, but I would say a couple of years." In fact, Daniels' is a relatively new participant in the tradition. 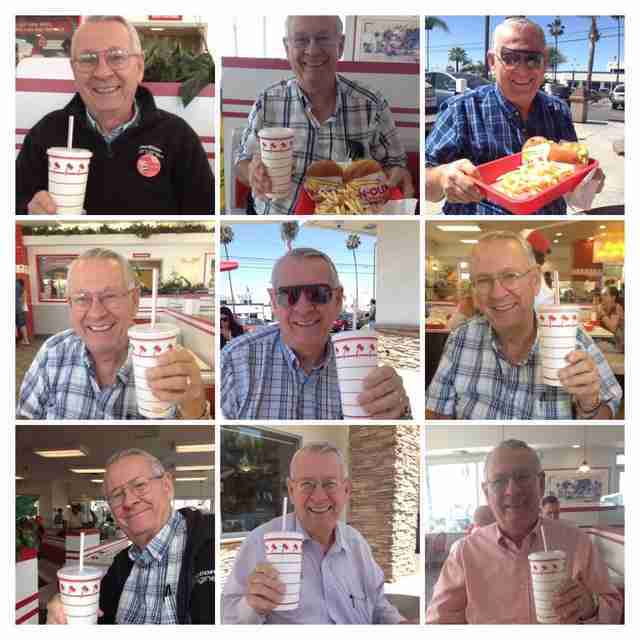 "My Uncle lives in Washington, where there are no In-N-Out restaurants, so my grandma would send him pictures of the food to make him jealous!" she said. "She also uses it as a way to keep in contact with family, which is why she eventually started to send me the photos as well!" Her grandpa likes to order a no. 2 on the menu (cheeseburger combo) while her grandma tends to get a hamburger. They split the fries, you know, because they're basically the epitome of true love. But, for real, just look at all of that joy. Like a Double-Double and some Animal Style fries, it'll make you feel better. If this couple isn't a prime example of #relationshipgoals, then we don't know what is. Tony Merevick is Cities News Editor at Thrillist and will almost certainly end up eating In-N-Out when he's in California next month. Send news tips to news@thrillist.com and follow him on Twitter @tonymerevick.